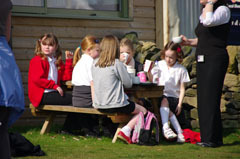 The first season runs from March to June and would involve the children planting seeds, then taking them home to water and look after them and watch them grow. They’ll be learning about herbs and vegetables, and why they are so healthy and very easy to grow. During July to September we will be exploring the different types of garden plants, including the plants the birds, the bees and the butterflies love, and how to attract more wild life into the garden. We will also be learning the different soil types that plants love and need to flourish. From October to December we will be learning about the different seasons and finding out what magical things happen when the different seasons approach. We will be looking at all the plants with changing leaf colouring and plants which have nice big berries on – and why! 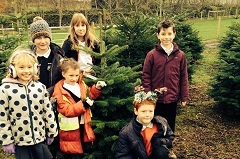 We will also touch on the subject of Christmas trees, showing them where and how they grow; the children can even choose the Christmas tree for their school. 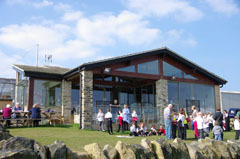 We can cater for a classroom of children up to approximately 30. For a small fee we provide them with a treat of a soft drink and an ice cream. They also get to take their pot/seed tray and seeds home, or to their school, so that they can put their learning into action by planting them and then nurturing them as they grow. Further learning opportunities include measuring the plants as they grow and examining factors that can influence growth, including light, nutrients, water, temperature. Contact the garden centre for more information or to make a booking.